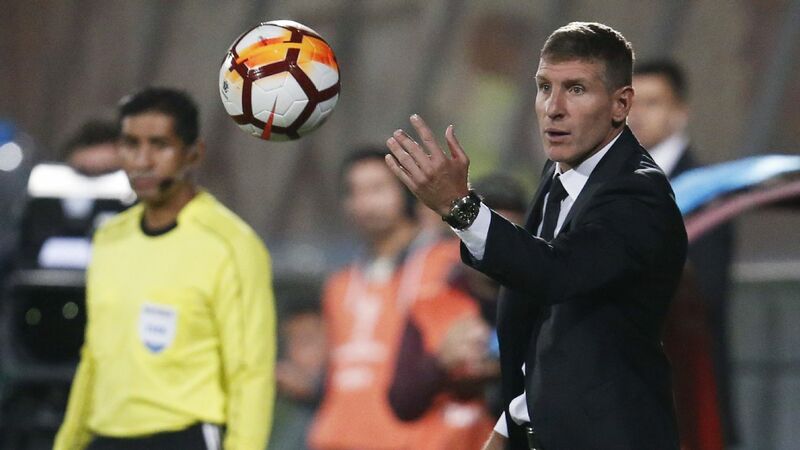 Boca Juniors legend Martin Palermo has been named head coach of Liga MX club Pachuca on a one-year deal. Palermo replaces Spaniard Pako Ayestaran and arrived in Mexico on Tuesday to sign his contract and begin work. "It's an interesting place, very competitive football and coming into a big club like Pachuca is a challenge for me," 45-year-old Palermo told reporters on arrival in Mexico City. Martin Palermo will take over for Pako Ayestaran at Liga MX club Pachuca. Borussia Dortmund are set to sign 19-year-old Boca Juniors defender Leonardo Balerdi, the Argentine club's chairman said on Friday. Daniel Angelici told a Buenos Aires radio station that Balerdi would fly to Germany on Monday and, subject to a medical, sign what sources inside the club told Reuters was a five-year deal for a fee of €16 million. Balerdi has played only five games for the Argentine giants, but is one of the most highly rated young players at the club. Ivan Marcone was key in helping Cruz Azul reach the 2018 Apertura final. Cruz Azul midfielder Ivan Marcone is set to complete a transfer to Argentine giant Boca Juniors, a source close to the negotiations told ESPN Mexico. The 28-year-old former Independiente player was key in helping Cruz Azul reach the 2018 Apertura final last season and win the Copa MX. The transfer fee is close to $8 million, according to the source.